(Big Sandy, Mont.) - President Donald Trump today signed U.S. Senator Jon Tester's bill to make Senate campaigns more transparent. Tester's bill, the Senate Campaign Disclosure Parity Act, requires candidates to electronically file financial disclosure reports with the Federal Election Commission, making them immediately available to the public and saving taxpayers money. It's the 20th Tester-authored bill Trump has signed in law. "With the signing of my bipartisan e-filing bill, the Senate is finally joining the 21st century," Tester said. "I've been fighting for over 10 years to make this common-sense idea a reality, and now elections will be more transparent for everyone." U.S. House of Representatives and Executive Branch candidates have been required to file electronically since 2001, and advocates say the bill will save taxpayers nearly $900,000 a year. Tester first introduced the Senate Campaign Disclosure Parity Act in 2008 and has subsequently reintroduced the bipartisan bill every Congress since. 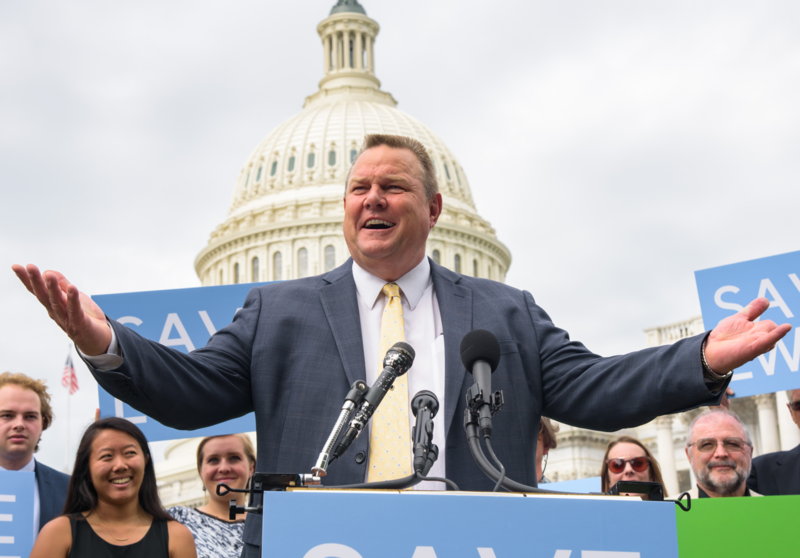 "Jon Tester has fought relentlessly to make this common sense, good government change that will shine a light on money in politics," said Tiffany Muller, President of End Citizens United. "The public has a right to know who's trying to influence and buy our elections. There's no reason candidates running for Senate should be able to hide important disclosures for days or weeks. Senator Tester has been a champion for transparency and we thank him for his work." "It's time to end the Senate's longstanding insistence on paper-based campaign finance filings - to stop wasting public funds and needlessly delaying public disclosure," said John Wonderlich, Executive Director of the Sunlight Foundation. "Senator Tester has been an important leader in efforts to create more efficient, effective systems for political finance information, and his support of e-filing in the Senate has helped the measure progress to where it is today." "Senator Tester has led the way in making our elections and our democracy more transparent since he first got into office, and has worked tirelessly to get this bill across the finish line," said C.B. Pearson, a long-time Montana good government and campaign finance advocate. "I'm thankful we have such a strong advocate for campaign finance reform and accountability in government representing Montana." Tester, a longtime advocate for campaign finance reform, has introduced multiple bills to reverse the impacts of the U.S. Supreme Court's Citizens United decision and increase transparency in elections. A list of the other 19 Tester-authored bills that Trump has signed into law is available HERE.